Lynsey over at Moscato Mom found this fun idea for some blog posts and a few of us decided to try it. The idea is simple. 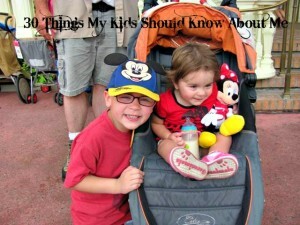 It is 30 Things My Kids Should Know. 1. I hate doing housework. Sure the house will be clean, but it will never be a priority for me and it will never be as clean as it could be. 2. I met your Daddy 10 years before we got married. 3. I had no interest in getting to know your Dad or dating him when we first met. 4. I went to high school in South Africa. 5. I would be barefoot all the time if I could. 6. I always sleep naked. I cannot stand the way clothing twists and turns around you when you sleep. Always knock before you come in my room. 7. I was told I had about a 2% chance of ever having children. Because of this I decided I just would never have them. 8. Turns out my body is a little odd in that taking birth control pills make me ovulate and get pregnant. 9. Once I found out I was pregnant the first time, I said I would go back to work as soon as possible because I would be bored staying home all day. HA! 10. 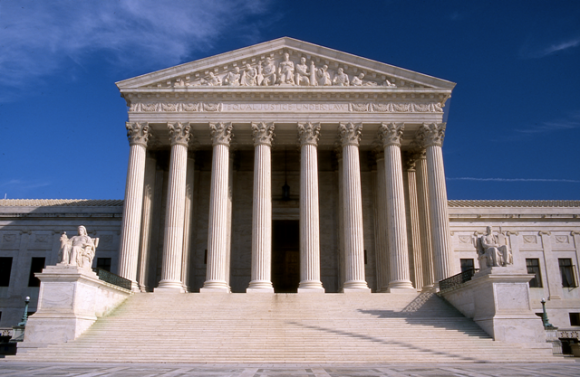 When I was in Jr High, I wanted to be the first woman Chief Justice of the Supreme Court. 11. I am deathly afraid of spiders. 12. The first time I shot a gun I fired one shot, then cried. 13. I hate laundry more than any other household chore. It never ends. 14. Our bedroom set belonged to my grandparents. For that reason, it will never be replaced. 15. 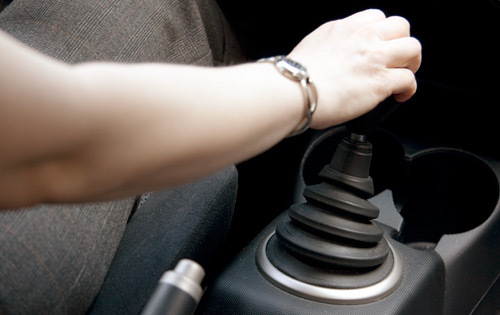 I didn’t learn how to drive a stick shift until I was 37 years old. 16. I played the french horn during elementary school. 17. I could eat fajitas every single day. 18. My favorite color is yellow. 19. Your Dad and I got married on a Wednesday. I moved in on Thursday and went back to work on Friday. 20. 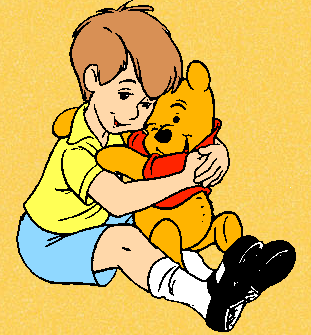 My favorite Disney character has always been Winnie the Pooh. I was like a child when I got to ‘meet him’.